Make some sweet pebble love bugs from rocks. This is such a cute and easy Valentine craft idea for kids! 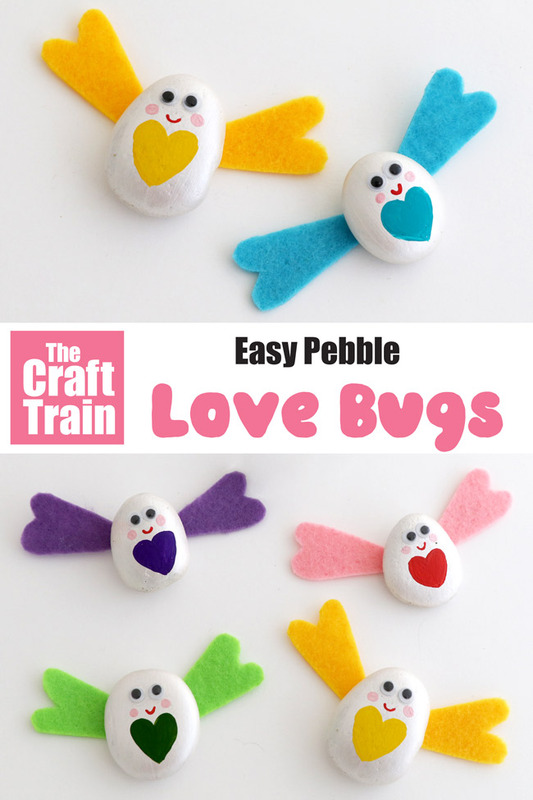 We have some adorable new pets in our house – pebble love bugs. They are caring little critters and bring love and smiles to everybody they meet. They are hoping that somewhere out there in the big, wide world somebody is going to see them and make them for their friends so they can spread their love even further. Love bugs make great valentines gifts! 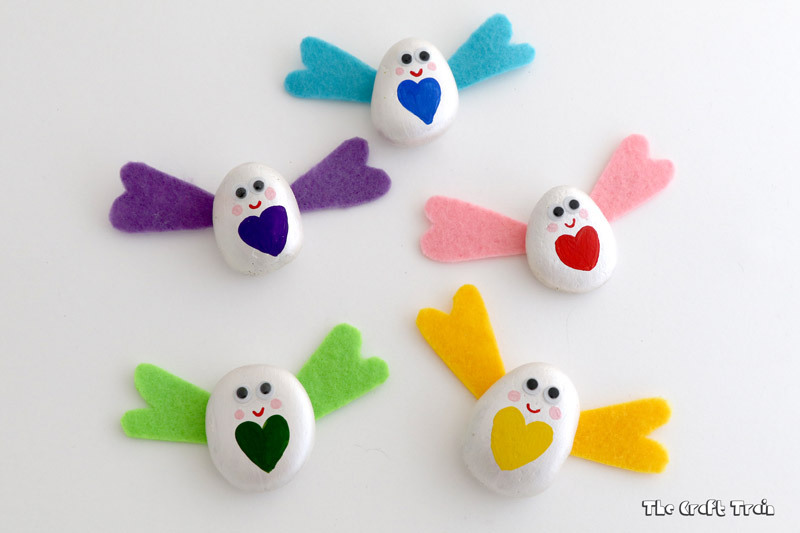 Pebble love bugs very easy to create and if you have younger kids you could always make them even easier by using larger rocks so they are less fiddly. I’ve used small, white rocks from the garden to make these ones, so they needed a good soak and wash. After that they were still a bit dirty so they needed a coat of paint as well but if you use store-bought rocks they may be fine as is. Paint your rocks. 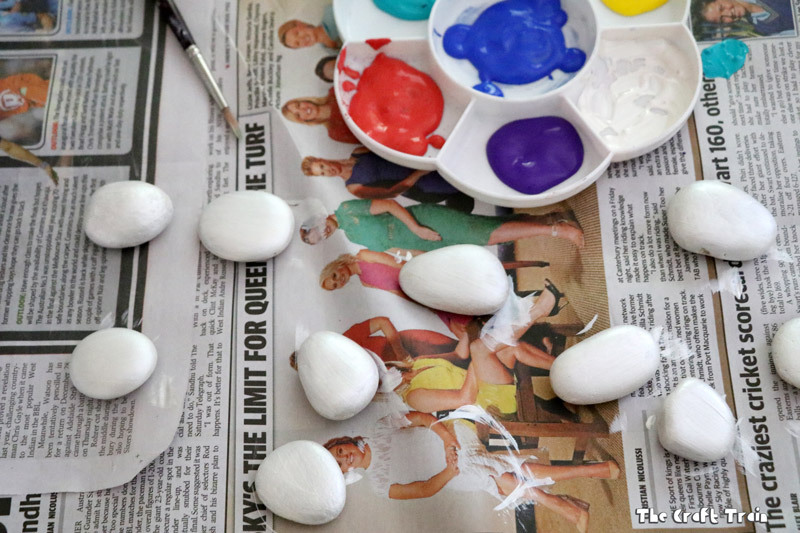 My rocks needed an undercoat of white paint to get them looking bright and shiny but this is an optional step. Some rocks might look better in their natural colour. Once the undercoat is dry paint the heart-shaped tummy, mouth and cheeks. Create your wings. Draw a long, skinny shaped heart from paper and cut it out. 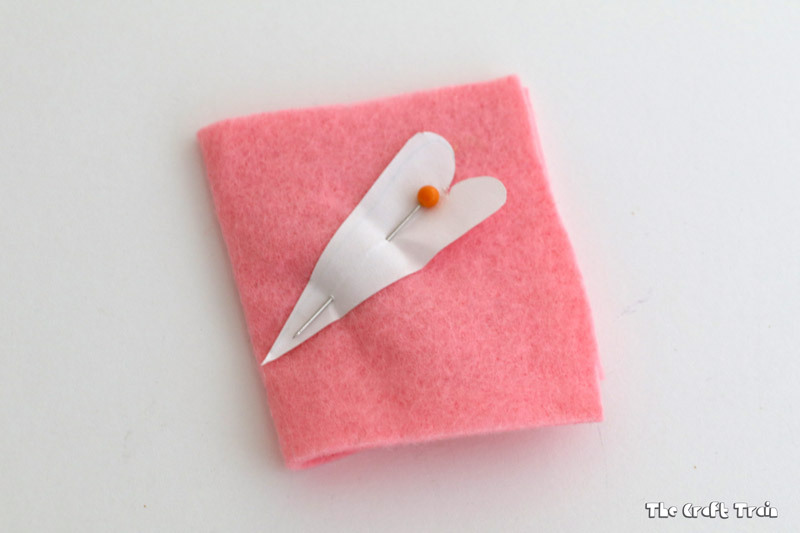 Fold a piece of felt in half and pin the heart on at an angle with the pointy end at the fold. 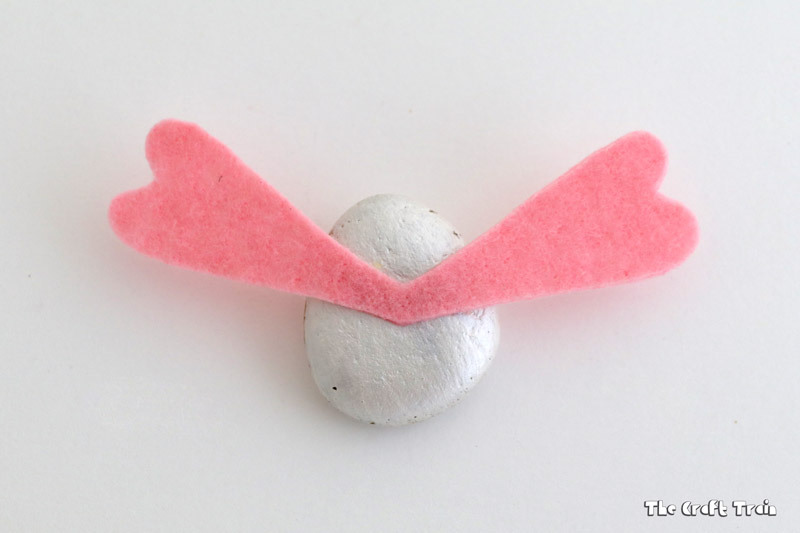 Cut it out to make your wings and glue to the back of your pebble. 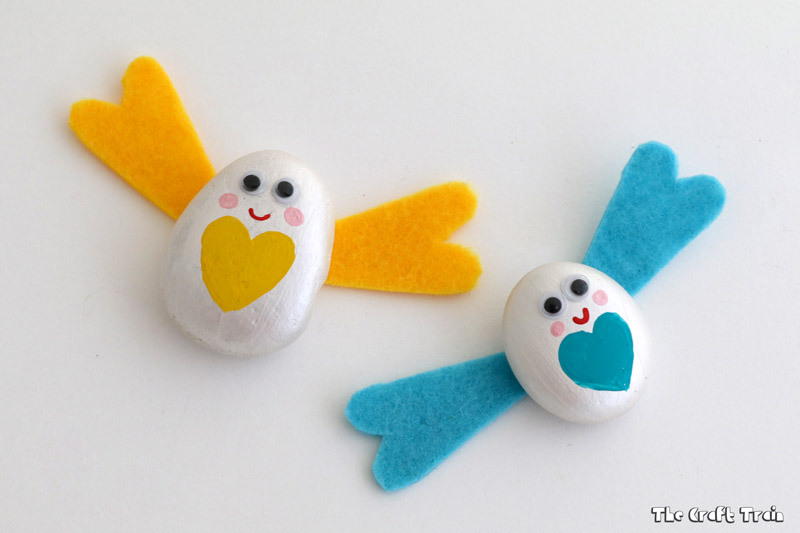 That’s it, but your little pebble love bug might like a few friends so you may need to make some more. Can you hear them whispering? 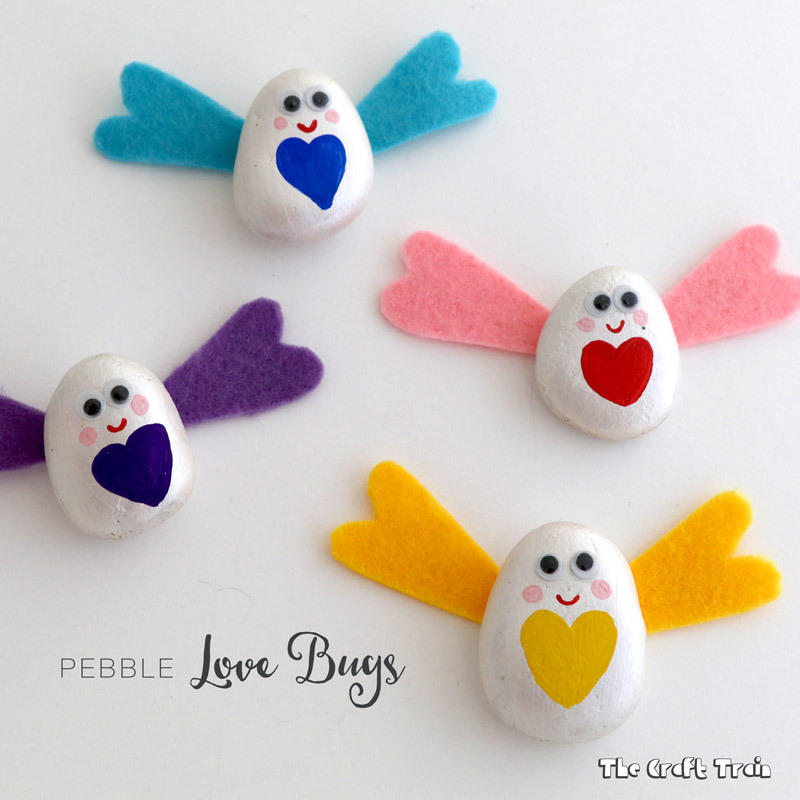 They’re wishing you will make some pebble love bugs to give as Valentines gifts for friends. Go on, make some. Visit our Valentines board on Pinterest for even more inspiration! Have you tried putting a magnet on the back of these to make fridge magnets? Love this Pebble love bugs. I predict my wife will love this as a valentines gifts.